This is never an easy decision. There are some signs that can help you decide when the time has come. It is important to assess the quality of life, based on your perception of changes in the following: Attitude, Appetite, and Activity. Attitude: Does your pet still enjoy doing most of the activities he/she used to do? Have there been changes in how your pet interacts with other family members? Appetite: This is often a big factor. If your pet's appetite or desire to eat has declined, the quality of life often has diminished as well. Activity: Does your pet seem reluctant to move around? Is he/she still able to use the litter box or go outside to urinate or defecate? When you are ready to book a euthanasia appointment, our team will ask two important questions: “Who in your family would like to be present if anyone?” and “What aftercare option would you like for your pet?”. Our clinic has a small variety of options for your pet after being euthanized. 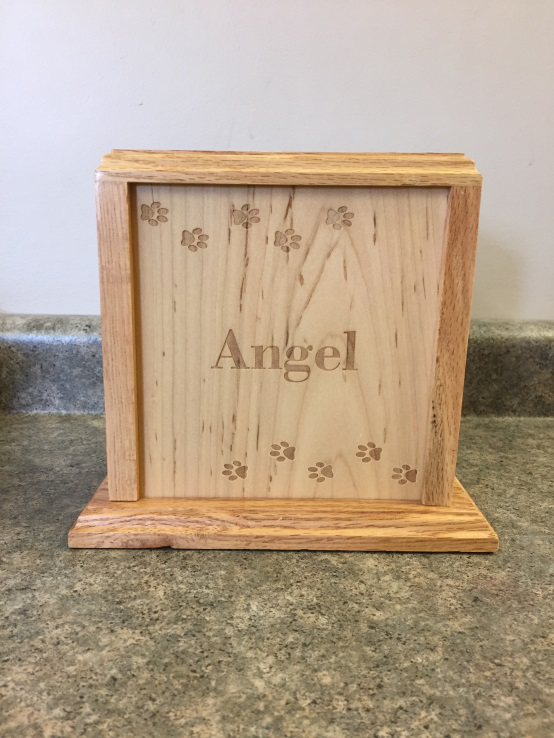 You have the option to take your pets’ body home to bury, in which we provide a burial box and proper burial instructions. 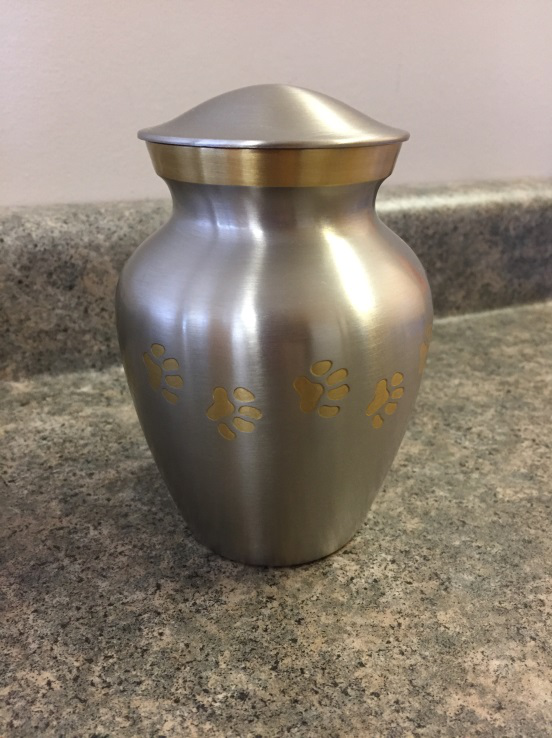 You have the option to send your pet for a Group Cremation, in which your pet would be cremated with other pets and then those ashes are spread off premise. You do not have any ashes returned to you with this option. 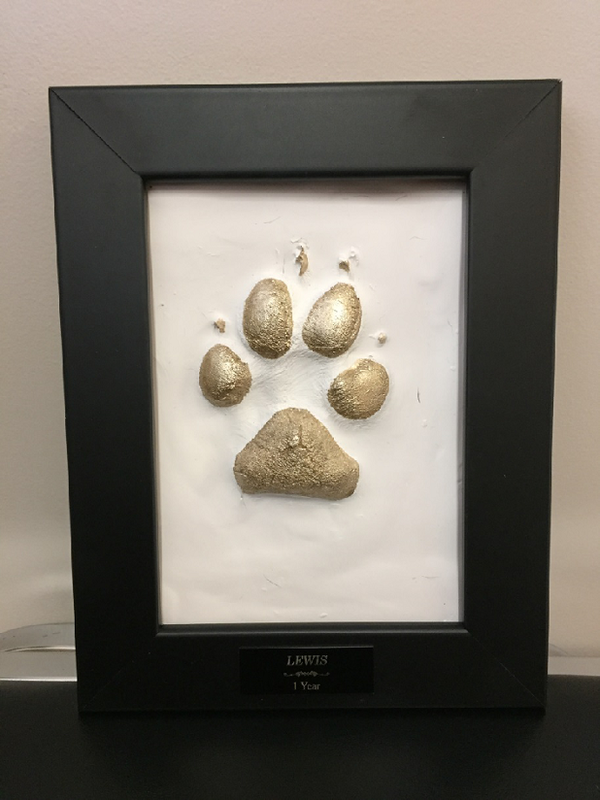 You have the option to have your pet privately cremated, in which they are cremated on their own, without other animals. 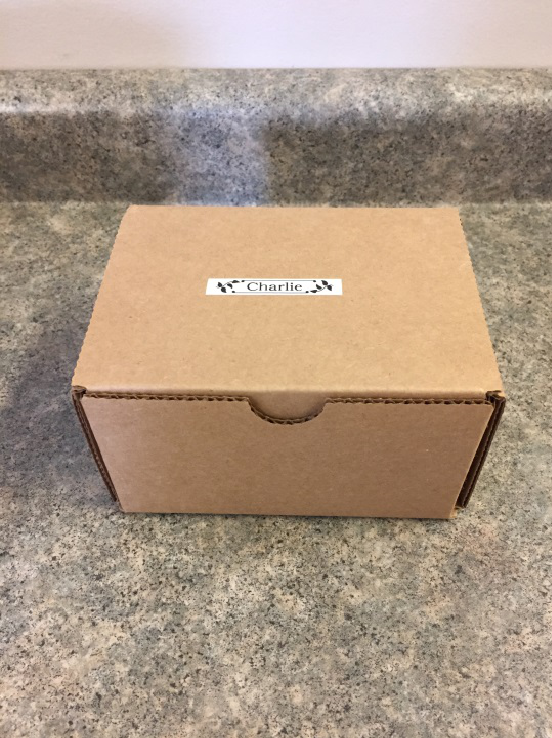 These ashes are then returned to you in 3 different ways of your choice; a Scatter Box, a Wooden Box, or a Pewter Urn. The pictures of each of the private options are shown below. 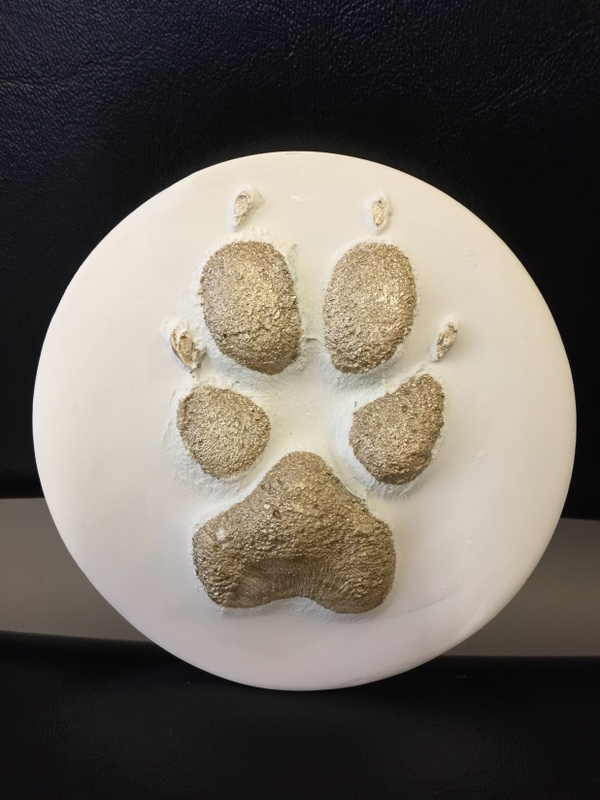 We also provide options for those who feel they would like a piece to remember your special friend. This is a great option if you would not like ashes or feel it is out of your means to pay for having them returned. 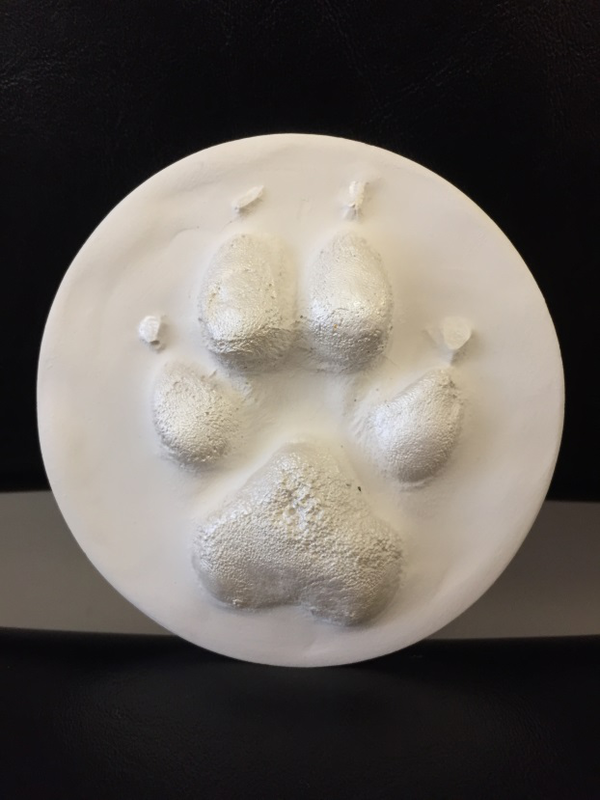 Clay Paw Prints Impressions are taken after your pet has been euthanized and the prints are sent away to a third party company to be created from the impression. Similarly to the cremation options, the clay impressions come in a number of forms. With any of the options listed above, you have a few additional choices of colors and name/age display. Name and/or age can be listed on the front of the frame option and the front or back of the round prints. Color choices include Metallic Pearl White, Champagne Gold, or the option of no color (natural clay look). Each of these options is shown below as examples. We understand that all of these options can become overwhelming, especially when dealing with a difficult situation like euthanasia. Because it’s such an emotional time, we don’t typically go through all these options on the phone when you have called in to book. Please don’t hesitate to ask one of our team members about these options when you call. Looking for something more? 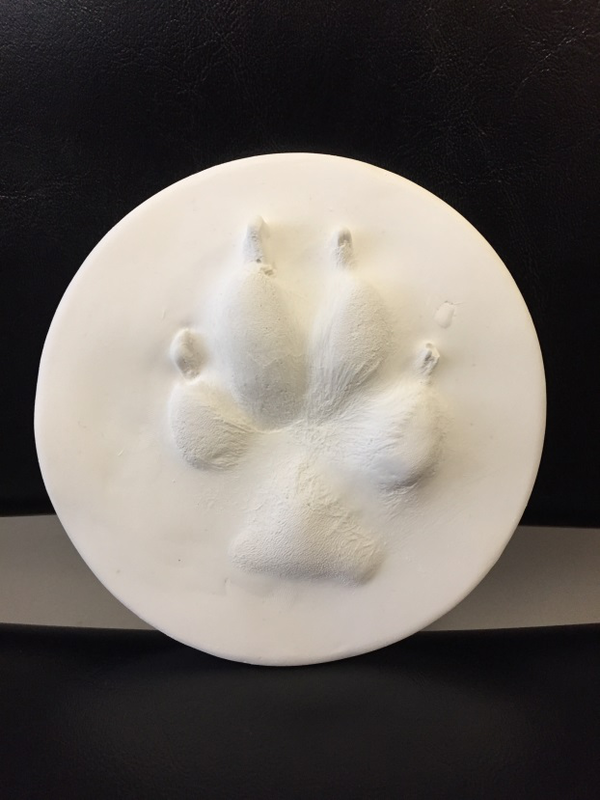 Check out this site https://bymysidepetmemorials.com/ and look into their memorial stone options. With every purchase, a donation is made to the Alberta SPCA.